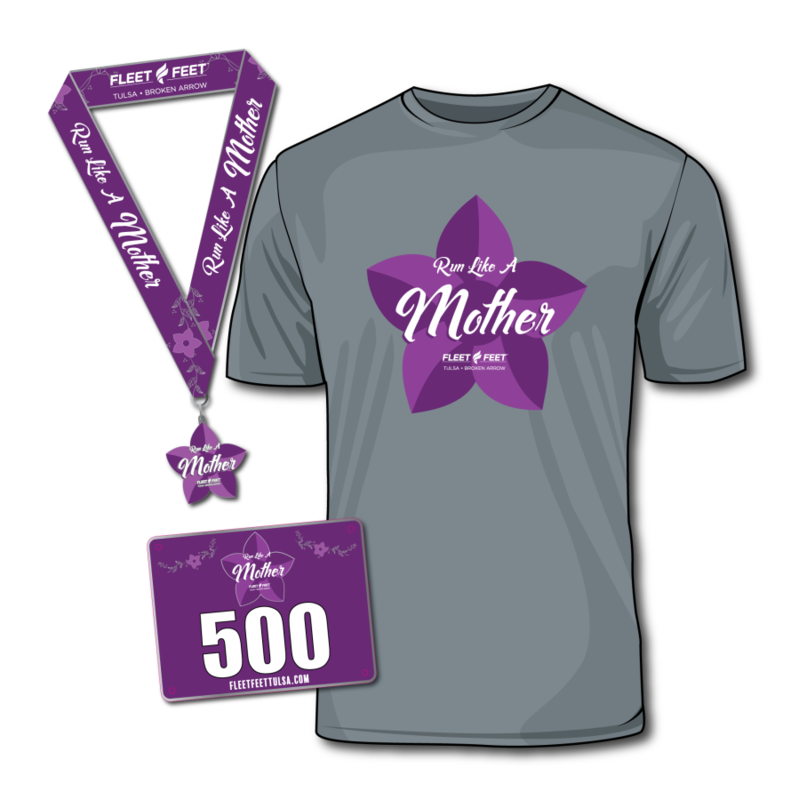 Register for the Run Like a Mother Virtual 5K today! *NEW - The Run Like a Mother 5k! Mother's Day is just around the corner, and what better way to celebrate than a fun virtual 5k! Join us for the "Run Like a Mother" Virtual 5k! Walk, jog or run. Inside on a treadmill, outside around the neighborhood—any route of your choice! Bring along family, friends or even the pets! It’s a great way to participate in a Fleet Feet Tulsa/Broken Arrow event from home! Register for the race. Participants will receive a short sleeved lifestyle (fitted/soft) cotton t-shirt, cool race medal, and a race number. Pick up your packet at one of our three stores the week of the event (beginning May 8) or choose to have us mail the packet to you. Complete your virtual 5k anytime between Sunday May 12 and Sunday May 19. Submit your results to be included in our "official" race results. Indoors or out, you pick your place and your pace! When finished submit your time, you earned your Run Like a Mother medal! Flash your bling and be the envy of your friends and family! All registrations will receive a race bib, short sleeved lifestyle cotton t-shirt, and a race medal.